Prior to the Apollo mission scientists were limited to telescopic inspection of the moon. The most obvious feature of the moon is the dichotomy between the dark lunar maria and the bright lunar highlands, clearly visible to the naked eye. The brighter highland areas represent the ancient lunar crust. The highlands are cratered so intensely that it is difficult to identify one crater from another. The dark splotches that we see are massive flood basalts known as the lunar maria. These flood basalts have filled many of the giant impact basins on the earth-facing side of the moon. The maria is a secondary volcanic surface covering the ancient lunar crust and appears dark and very sparsely cratered. Apollo scientists, using the best telescopes of the time, counted the craters on what appear to be the freshly formed lunar maria. Using their best approximation of the current cratering flux (the rate of meteorites impacting on earth) scientists obtained ages for these fresh secondary lunar surfaces. Pre-Apollo crater dating of the lunar maria using this crater counting method set the age of the lunar maria at less than one billion years and possibly as young as 700 million years. Since the maria had far fewer craters than the highlands, it made sense that is was a much younger surface. The Apollo missions brought back rocks from the moon which could be analyzed in a laboratory. A new method for dating the age of these rocks was developed by a group of scientists at the California Institute of Technology. This lab was nicknamed the Lunatic Asylum. They used their newly developed isotopic dating techniques to drastically revise the age of the maria to more than 3 plus billion years old. These new dates caused an abrupt change in the direction of scientific inquiry. Rather than resolving the question of how the maria formed and why they are so lightly cratered, this paradigm shift instead created many new contradictions and deepened existing questions. Compared to the engineering and technological effort that took man to the moon, earth sciences of this period were still rather primitive. Plate tectonics, the dinosaur impact extinction, tidal heating (volcanic activity) in the solar system, and planetary cratering were all in their embryonic form at the time of the Apollo missions. Yet these Lunatic Asylum scientists needed to make some very fundamental assumptions about the composition of the early nebular cloud and formational processes of the early solar system in order to reach their conclusions. Some of these assumptions, which went into dating the lunar mare, are still not very well understood today fifty years later. If we had known then what we know now regarding the composition of the solar system, the conclusions of the Apollo program may have been quite different. But what if one or more of the assumptions that went into the isotopic dating of the lunar maria is off or wrong? It is important to point out that there was no real debate over the lunar mare dating. The isotopic dating was accepted carte blanche. It is at this very moment in history, however, that the course of lunar discovery can be seen to take a sudden turn. Lunar scientists up to this point seemed to be putting together a reasonable timeline of the moon’s evolution. But this new ancient date for the emplacement of the lunar maria put this timeline into complete disarray. All current lunar origin models, including the most widely accepted collision model, do not attempt to answer the lunar mare dating question and generally accept the isotopic dating. But what the isotopic dating did not do was change the reality of the low number of craters found on the maria. The Model of Intense Bombardment was constructed in an attempt to reconcile the low crater count findings, once thought to indicate a young maria, with an ancient formation of the maria as now proposed by the isotopic dating. 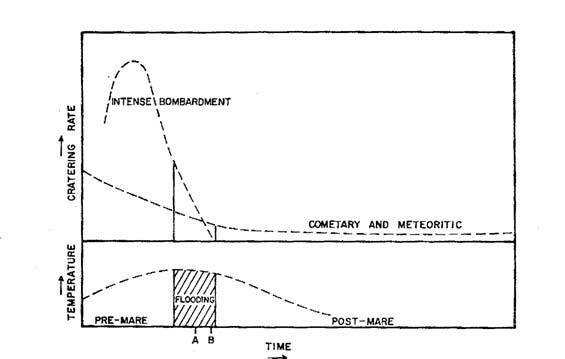 The Model of Intense Bombardment did this by assuming an early and intense bombardment of the moon’s crust during a brief period prior to the formation of the maria. This bombardment was followed by a very low cratering rate ever since. This theory proposes that this is why so few craters have formed on the maria since its formation more than 3 billion years ago. If we apply the MIB to the moon, then of course we must also apply it to the entire solar system. However, recent findings throughout the solar system, and particularly Mars, make it more difficult to support the MIB. Evidence of robust cratering on other planetary surfaces brings isotopic dating into question. Since the lunar maria are the only surfaces that have been specifically dated isotopically, the maria are used to date other surfaces throughout the solar system. The lunar crater density and age form a gold standard for measuring other cratered surfaces found in the solar system. Mars’ surface, for example, was dated using the lunar maria as a measuring stick. Initial ages for Martian surfaces with similar crater densities as the maria were assumed to be billions of years old. Recent geologic evidence from our continuing exploration of Mars reveals a much younger Martian surface than had previously been assumed. Martian volcanoes once thought dead for billions of year are now believed to have been active into the recent past. This modern evidence is contradicting the lunar isotopic ages which have been applied to the Martian surface. Astonishing images from the Mars Global surveyor show 20 new craters on the Martian surface in a recent 7-year period; according to the MIB no new craters should have formed on Mars during this extremely short time frame. Amazingly these 20 craters appeared on only the 5% of the Martian surface that was surveyed. Findings from Mars’ crater Zunil adds further contradictory evidence. Studies of the Zunil crater confirm that secondary cratering (craters formed from ballistic debris blown out by the primary crater) is actually much more prevalent than has been previously assumed given the lightly cratered nature of the lunar mare. This cratering evidence on Mars indicates that many more “secondary” craters are formed with each impact of a primary crater. Only primary impacts are typically used to date a surface. 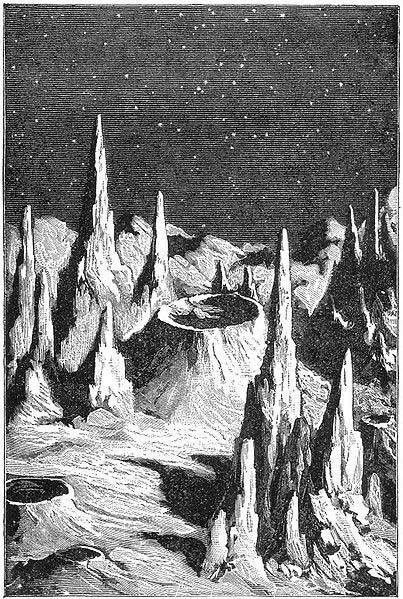 Lunar scientists believe that nearly all the craters on the maria are primary craters. There are so few craters on the maria that in order for the MIB to work it has to be assumed that each primary created very few secondary craters. It was determined that if the maria were 3.5 billion year old surfaces as the isotopic dating indicated, then secondary cratering simply could not be very effective, because there are so few craters on the mare. However, if secondary cratering rates on Mars are accurate and we can extrapolate this to the moon, it would mean that much of the cratering on the maria is actually secondary cratering. Therefore by default there are many fewer primary craters on the lunar maria than Apollo thinkers believed in their day, and is still believed to this day. This assumption is being directly challenged by the evidence being found on a number of planetary surfaces now being studied through out the solar system. The evidence is that the unexpectedly high Martian cratering rate would indicate a need for adjustment to reduce the age of the lunar maria. 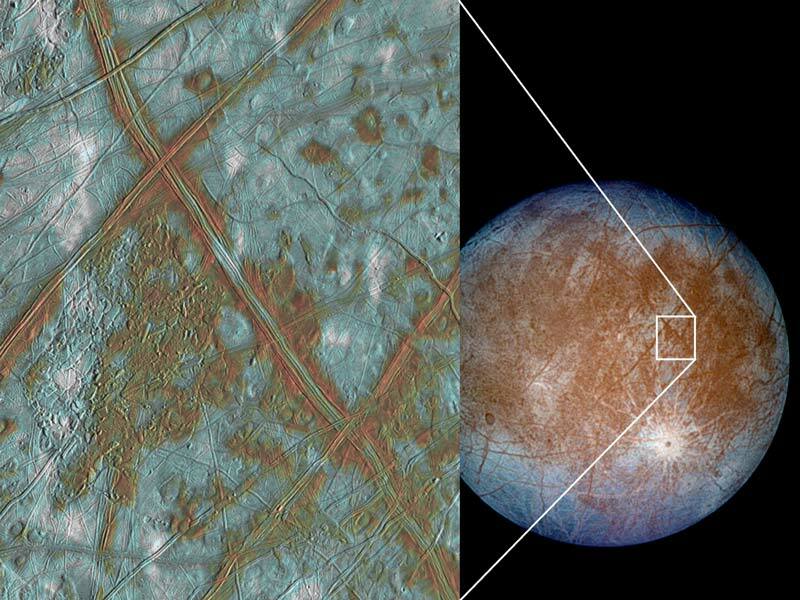 Jupiter’s moon Europa also lends some interesting insights into our own moon. Europa’s icy surface holds only a few primary craters and its constant resurfacing, due to tidal heating, makes its surface unique for observing cratering impacts. 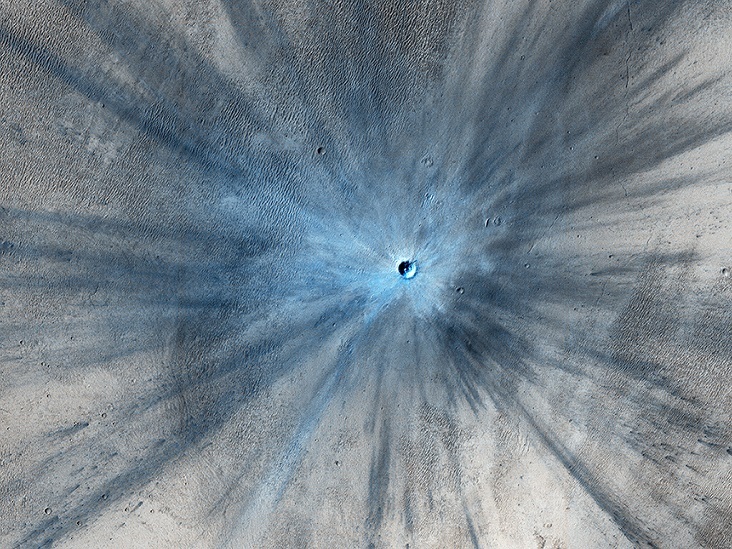 Because primary impacts are few, the distribution of secondary craters formed by each primary impact can be readily discerned. The number of secondary craters generated by each primary impact on Europa is much greater than previously believed; fewer than 40 primaries (greater than 10 km) have produced 10 million secondary’s larger than 100m. This correlates with the findings from Zunil crater on Mars. So few primary impacts on the lunar surface over such a long time (3.2 billion years as required by isotopic dating and supported by the MIB) just doesn’t stand up to the “known” cratering rate we see happening around us on Earth. Fewer primary craters on the lunar maria, as indicated by the high number of secondaries on Mars, can only mean the maria should be even younger, not older, than the pre-Apollo thinkers believed. Since the lunar maria were used to date the Martian surface, any “discovered” increase in the Martian cratering rate must be addressed as it pertains to the lunar maria cratering rate. A “greater” rate of impacting bodies, as found on Mars, means the finely tuned flux between the earth, moon and Mars must be recalibrated. 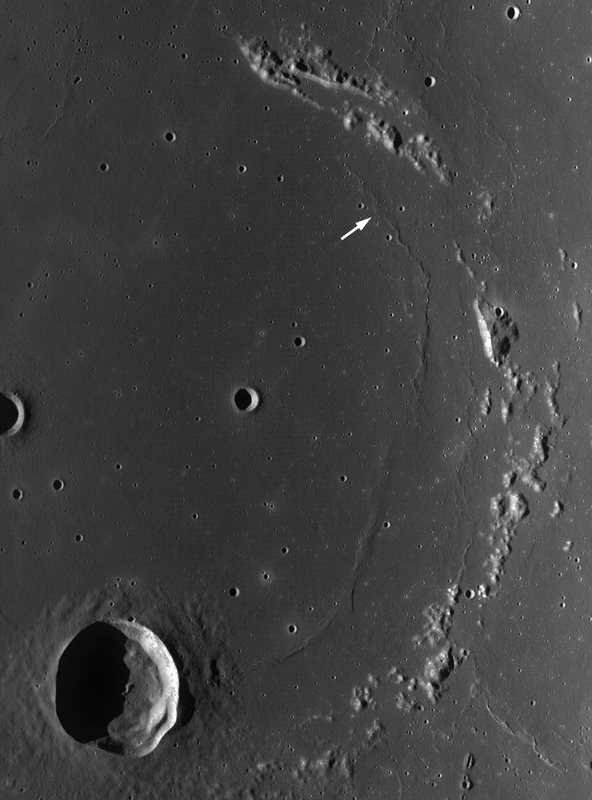 The importance of secondary cratering as noted for other bodies can only exacerbate the situation in terms of its impact on lunar maria cratering and the dating of the lunar maria. These findings point toward much younger surfaces and a more dynamic solar system than has been previously imagined. Yet the estimated age of the maria surface has not been revised significantly since the preliminary examination of Apollo 11 lunar samples in 1969.